Rent any of our 3-bdrm family lodges or cabins along the Gallatin River at our family-friendly guest ranch. On-site restaurant, bar, horseback riding, fishing pond & more. Nestled on the banks of the Gallatin River, -RR combines the rustic rugged West with the luxury expected of a world class resort. Award-winning wine collection & fine dining. Book your vacation at a lodge near Yellowstone National Park. Stay in Yellowstone Park at the Roosevelt Lodge. Gorgeous lodge on the shore of Lake McDonald in Glacier National Park. 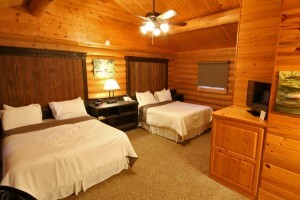 Check out our West Yellowstone Lodging Guide.